Gauge management is essential in any manufacturing setting, but tracking down gauges is extremely difficult if you don’t have a strong gauge management system. Manual systems are used in most companies in the manufacturing industry and those same companies experience these challenges daily. No matter how hard you try, it is difficult to get everyone to complete the check-in/check-out sheet and even if you do, it is often missing information. Manual systems may work in the beginning, but over time, they lose steam and bad habits take over. Manual systems lack accountability and become even more frustrating if you aren’t given the necessary information needed to manually track the gauge. You wouldn’t think gauges have feet, but sometimes they take off running. The gauge that was at your work station the day before is no longer there. Whether its misplaced or stolen, you end up having to spend time looking high and low or checking out a new gauge without documenting the loss. Not having a properly calibrated gauge can halt a production line or work center, not to mention the cost and hassle of procuring another one. Recalls are the bane of any manufacturer and will end up costing your business a great deal of time and money trying to recall a product. The embarrassment and potential loss of a good client makes it unacceptable to inspect parts with improperly calibrated gauges. It is imperative that gauges are properly tracked in and out of the gauge crib. This insures that uncalibrated gauges will be quickly retrieved from the shop floor and properly repaired and calibrated. With gauge management software, you can be sure to know when a gauge is out of calibration by the number of uses, days on the floor, hard calibration date, or a combination of the three. Employees no longer need to manually sign a gauge out since the system uses an employee ID number or badge to check out a gauge. Make it a habit to check out gauges daily, so that you never have a gauge walk off again. 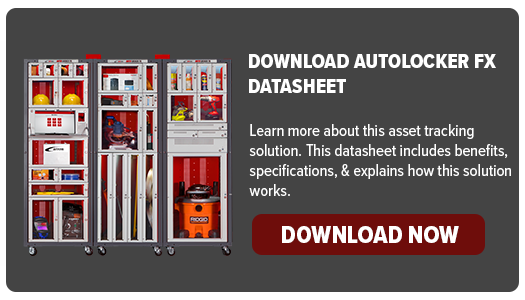 You no longer need to worry about an uncalibrated gauge on the floor; a report will be sent to a supervisor when a gauge is out of calibration before it becomes a problem. Why settle for a manual system that doesn’t track your gauges and costs and puts your product and customer relationships at risk? A good gauge tracking system is no longer a luxury; it is an absolute necessity for modern manufacturers.